1.Skull Pendant measures 3" x 3.5". 2.Black lanyard attached (30” in circumference). 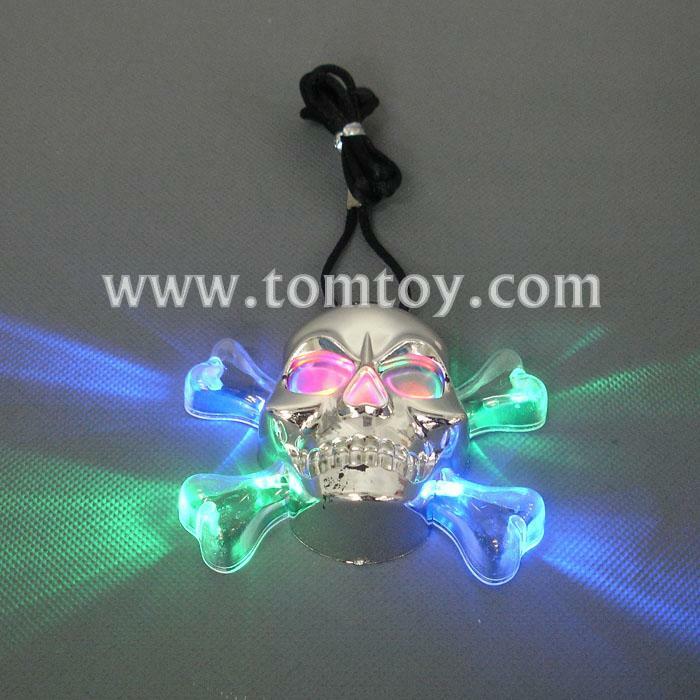 3.Three modes on the pendant – strobe, flashing, and mood. 4.Button on the back turns the necklace on and lets you pick the mode. 5.Run time approximately 6+ hours.